Although Chinese medicine has been a complete and continuous medical system for 2300 years, its mainstream presence in the United States dates back only to the early 1970s. Harriet Beinfield and Efrem Korngold began their practice then, as two of the early non-Asian acupuncturists in the country. At that time, China was closed to foreigners, so they studied in England, traveling later to China. They were missionaries for Chinese medicine. By speaking at conferences, doing radio interviews and television shows like Good Morning America, writing many articles and the best-selling book, Between Heaven and Earth, they have helped to seed the practice of Chinese medicine in the West. The early spores that were scattered have mushroomed into a form of treatment that is now accessible to millions of Westerners. When Harriet and Efrem began their practice in 1973, acupuncture needles were classified as experimental devices by the FDA, and acupuncture was not yet a licensed health care profession. The Asian and non-Asian acupuncture community banded together, lobbying the California legislature and then-Governor of California Jerry Brown to legitimize acupuncturists as primary care providers. Harriet and Efrem were part of that first group to be licensed by California in 1976. At the time, the American Medical Association maintained that acupuncture needles should be restricted for use by conventional physicians and only for the purposes of research. But the mainstream public that was receiving help from acupuncturists began making its voice heard as well, testifying at both State and National legislative hearings. Medicine is embedded in culture. Cultural shifts open a space for new ideas to percolate, and acupuncture coming to the West is no exception. Having participated in many social justice movements – civil rights, anti-war, women’s, environmental, organic food – pioneering the natural health movement came naturally to many of the early acupuncturists, including Harriet and Efrem. 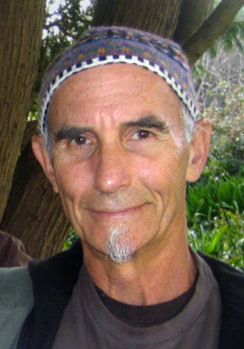 Efrem taught a small class of medical students from UCSF in 1974 and in 1979 developed one of the first acupuncture curricula for the San Francisco College of Acupuncture. He taught at the College for eight years, training several hundred acupuncturists. In 1991 Efrem and Harriet co-authored Between Heaven and Earth, which has found its way into more than 250,000 hands and has been translated into eight languages. Efrem had advanced training in Chinese herbal prescribing in Kunming in 1980, Shanghai in 1984, and after that with Fang Feng, an herbal doctor from Vietnam in San Francisco’s own Chinatown. These studies engendered clever ideas about how to simplify traditional herbalism for American providers and patients. Out of this was born an innovative repertoire of formulas so that patients would not have to brew teas and doctors could prescribe without stocking hundreds of raw herbs. This is a win-win for both doctor and patient. Together Efrem and Harriet wrote the Chinese Medicine Works Formula Guides to describe and explain their 68 herbal formulas (CHINESE MODULAR SOLUTIONS, SAGE SOLUTIONS, and GENTLE WARRIORS) that are distributed to health care providers within the United States and in Europe by Kan Herb Company. Having moved to San Francisco’s Noe Valley in 1988, the Chinese Medicine Works acupuncture clinic and Chinese pharmacy is now a fixture in the neighborhood – people can drop in and find easy-to-use remedies as well as helpful advice. As leaders in their field, Efrem and Harriet have lectured at many sites such as the UCSF School of Medicine, Andrew Weil’s Fellowship in Integrative Medicine at the University of Arizona, Beth Israel Hospital in New York, University of Miami in Florida and at acupuncture schools in Holland, Ireland, and England, as well as the American College of Traditional Chinese Medicine in San Francisco. Efrem and Harriet have been inspired by and collaborated with Dr. Frank Lipman in Manhattan (http://www.drfranklipman.com) and the widely respected New York neurodevelopmental pediatrician Stephen Cowan (http://www.stephencowanmd.com). Dr. Cowan wrote about the use of the Five Types model in his book: Fire Child, Water Child: How Understanding The Five Types of ADHD Helps You Improve Your Child’s Self-Esteem and Attention. Efrem and Steve conduct seminars in holistic pediatrics, comparing Western and Eastern approaches to embryology, social and cognitive disorders such as ADD, Autism spectrum disorders (ASD), and learning disabilities as well as ordinary pediatric complaints. Efrem’s father, Murray Korngold, is a Clinical Psychologist who pioneered psychology as a profession. 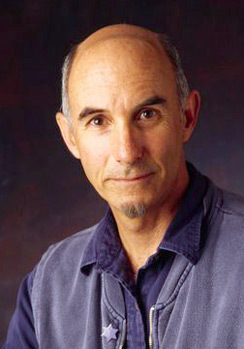 Efrem and he were early founders of the Los Angeles Free Clinic in the late 1960s. Harriet’s father, Malcolm Beinfield, and grandfathers, Henry Beinfield and Harry Koster (who graduated from the same medical school in 1914), were all surgeons. Perhaps that explains why she can bridge the worlds of Western and Eastern medicine. 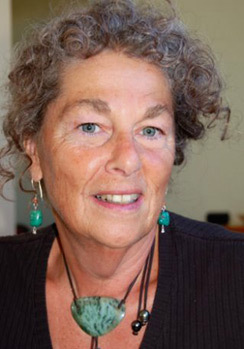 She is the sole alternative medicine provider on the Advisory Board of the University of California San Francisco (UCSF) Osher Center for Integrative Medicine. She is also an Editorial Board member of two peer-reviewed journals, Explore: The Journal of Science and Healing and Alternative Therapies in Health and Medicine. 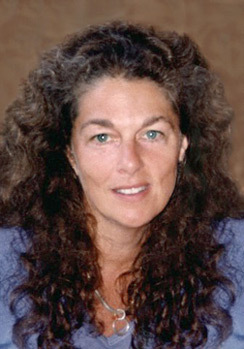 Harriet received the Clinical Scholarship Award from Alternative Therapies in 1997 for the article, “Revisiting Accepted Wisdom in the Management of Breast Cancer,” which she wrote with and for her father, Malcolm Beinfield, a breast cancer surgeon and Yale School of Medicine clinical professor. She also serves on the Board of the W. Haywood Burns Institute, a project to eliminate racial and ethnic disparity within the juvenile justice system. Efrem and Harriet are dedicated to human welfare, both one person at a time, and collectively via strategies that advance personal, social, and political health.